Asked to imagine Australia's wilderness many people immediately picture its arid outback, but its landscapes are in fact surprisingly varied. Traveling from the peaks of the aptly-named Snowy Mountains - touched by Antarctic winds - to tropical Queensland we discover how animals have learned to thrive across the continent's harsh and beautiful extremes. We meet an echidna, a curious creature related to the only other monotreme on the planet, the platypus, that has the rare ability to lower its body temperature to endure icy winters. The Dryandra Woodlands south of Perth provide the last stronghold for a native marsupial that once ranged all across Australia. The charming numbat, now reduced to less than a thousand individuals in the wild, survives on a diet of termites on the forest floor. Elsewhere, where animals have been able to remain in their forest habitat, tree kangaroos can be found climbing along branches in the forest canopy alongside palm cockatoos, whose intelligence is comparable to that of dolphins. The male palm cockatoo, or 'palmie', breaks off sticks and uses them to beat out rhythmic messages to his partner. Bird intelligence is taken to even greater heights, however, by the black kite. Gathering burning sticks and embers from bush fires, it drops them into dry grass to spread a curtain of flame that flushes out insects and small prey. Only in Australia have these remarkable phenomena been witnessed. This episode sets out to understand why marine species are drawn to the coasts of Australia and discovers that the country's three surrounding oceans – the Southern Sea, the Pacific and The Indian Ocean - create a unique environment for ocean voyagers of all types. In the clean waters of Pearson Island off South Australia, Australian sealions, once a rare sight are now protected from hunting and are thriving. Meanwhile in the wide shallows of Spencer Gulf, June is the time for a midwinter gathering of spectacularly colourful giant cuttlefish who battle for mates. The cold Southern Ocean also brings humpback whales from Antarctica to give birth and triggers the breathtaking spectacle of thousands of Australian spider crabs, the largest crustaceans in the world, congregating under the piers of Port Philip Bay to moult. It is a grisly time as the first to reveal their soft shells are cannibalised by their neighbours. Still, there is safety in numbers as bigger predators, smooth stingrays, sweep over the congregation sucking them from the seabed. A hundred miles up the coast from Sydney, Cabbage Tree Island is home to one of only two breeding colonies of Gould's petrel in the world. Chicks must find their way across rocky ground, scale the vertical trunks of giant cabbage tree palms and overcome their vicious spines in order to capture the breeze to become airborne. They will spend the next five to six years at sea. Off the west coast the Lacepede Islands are bathed in the warm currents of the Indian Ocean. 18,000 pairs of brown boobies build makeshift nests here whilst further south Shark Bay lives up to its ominous name as tiger sharks sweep in to prey on a whale carcass. It is a sight that brings boatloads of onlookers. Despite Australia's relatively small population, the human impact on wildlife has been dramatic. 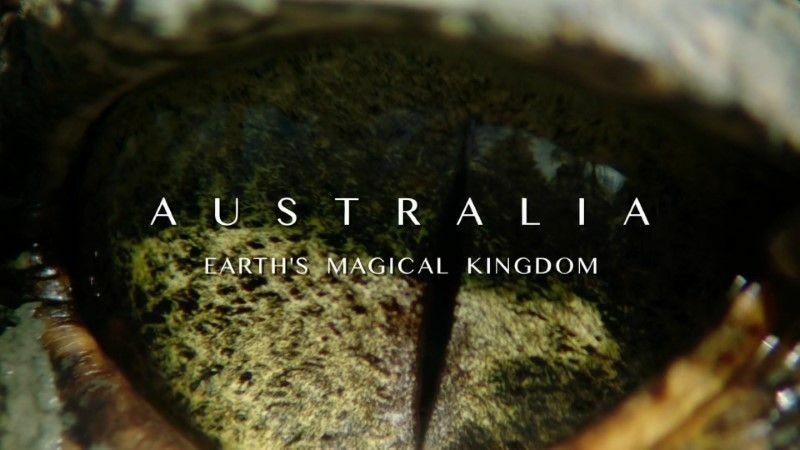 This episode explores Australia's natural history success stories and those being left behind as the continent undergoes rapid change. Starting in Australia's second largest city Melbourne, this film sees how possums, tree-dwelling marsupials, have taken to sharing trees in busy city parks. They are breeding successfully but when pressure from the neighbours becomes too great, they risk encounters with heavy traffic and domestic cats in order to find shelter in rooves and garden sheds. Meanwhile, the cold-blooded inhabitants of Brisbane's parks are demonstrating evolution in overdrive. In a timescale of roughly 150 years, as the city has risen around them, eastern water dragons have become metropolitan dragons - genetically different and twice the size of their wild cousins. Without trees to climb their limbs are getting longer and claws shorter. A suburban garden is the stage for a flamboyant spider the size of a grain of rice. He taps out a colourful and rhythmic display for his suitor who will choose whether he will become her meal or her mate. Far beyond the bustle of the city, dingoes eek out an existence in the inhospitable environment of a desert goldmine, while yellowtail grunters present the extraordinary spectacle of fish crossing a road. And with climate change and deforestation a growing and major threat one farmer is on a mission to save koalas on his land that are quite literally dying of thirst.